Get the best experience of Scuba Diving in Malvan and Tarkarli cost starts at Rs.2000/- per person. 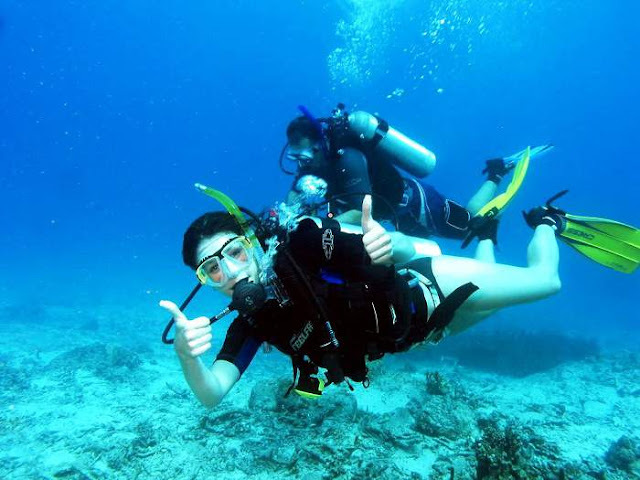 Are you looking for the best experience of scuba diving in Malvan and Tarkarli, here is the list of all Scuba diving agency in Malvan and be here for Scuba Diving in Goa and you will get the good Experience and good memory? you not only experience the sea, you indeed get to experience a lifetime. Malvan is a small town in Sindhudurg also famous for the Sindhudurg Fort, Malvani food, the world famous Alphonso mango. It is a place to look out for by the non-vegetarians especially seafood lovers. The major attraction to Malvan –Tarkali Scuba Diving beaches is raw, unperturbed beaches, Forts and the green natural surroundings. Tarkali, a place on Konkan coastline is a place you would want to get away with if you are looking for some let-up, away from the maddening crowd. Tarkali is one of the most beautiful beaches in India, famous for its untouched white sands and crystal clear exquisite sea. It is located where the Karli River merges with the Arabian Sea which is approximately 8 km to the south of Malvan. Tarkali is blessed with an enviable climate throughout the year, but still, the perfect time to visit the place will be from October to March. You ought to visit this land of awesome beaches, swaying palms, and serene waters just the place to unwind and be one with nature. Tarkali is the perfect vacation destination if you are in search of some solitude, chill out by the sea in the absence of the mob present at a populated beach. There are innumerable beach resorts at Tarkali located a few km from the beach. You can find hammocks strung between the trees offering a laid back relaxed attitude. There are many houseboats cruising along the Karli River, letting you take a peep in the rustic Konkan life. The houseboats have full modern amenities and open air upper decks for a comfortable stay. These houseboats also offer a rejuvenating backwaters sailing. If you are on a lookout for some beach water sports Activities in Tarkali, you won’t be disappointed. Out of the few countable names in Maharashtra offering snorkeling, Tarkali has a mesmerizing marine world to look out for. Many spots like Devbaug Sangam, Vengurla rocks etc. are recognized as snorkeling sites. You can see docile turtles, shoals of multicolored fishes and if you are lucky enough you may encounter a shark while you discover the coral reefs. Snorkeling in Tarkali will leave you asking for more. You will literally fall in love with the aquatic life under the sea. There are jet skiing, kayaking, banana rides and water scooters for those looking out for some excitement in Tarkali. Sea Water Sports came into existence in 1989 as well-known watersports company in Goa. Being in the prime sea location, it has become more convenient for the travelers and tourists to have an awesome journey with the best hospitality, best service, and excellent pricing list. Everything depends upon how we stand for you. We also have the greatness of being wanted in every corner of the world including our own state. We strongly believe that excellent and luxurious packages and services make our client comfortable and trustful towards us. This continues the goodwill from our end. 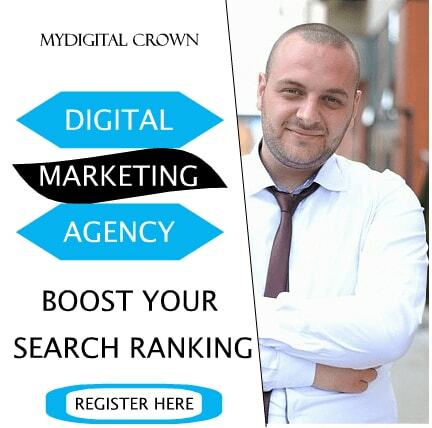 90% of our regular clients are repeated or referred by existing clients. Sea Water Sports in Goa, India is the world most attractive tourist spot with much exciting fashion, music and food locations to buy, enjoy and spend time with family and friends. Marine Dive is owned by Acharekar from Sindhudurg district Our name is trusted in the Snorkeling in Malvan. 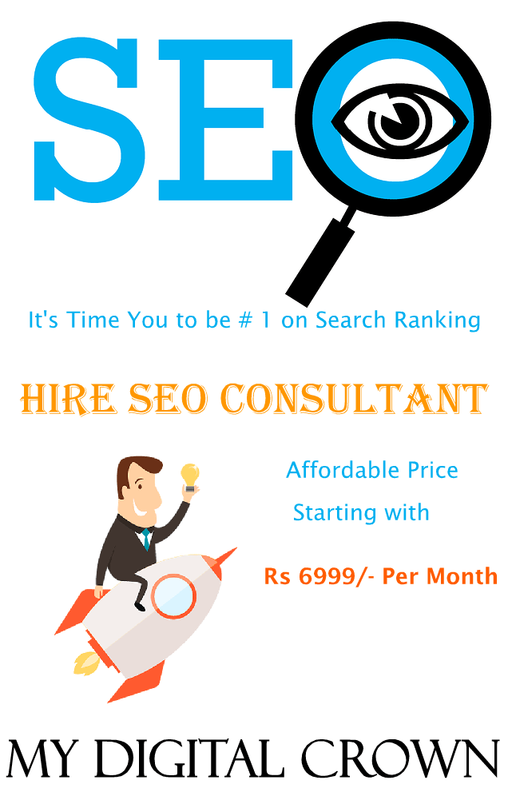 We have got 7yrs experience in this field. We are famous for our safety and friendly services of Snorkeling & Scuba Diving. We are the only SCUBA diving snorkeling operator in malvan with more than 25 scuba guide & specially trained swimmers. At Marine Scuba Adventures we have made available all the necessary amenities to ensure a enjoyable experience for you. We provide the necessary training and briefing before attempting Scuba Diving or Snorkeling and guides trained by M.T.D.C will be alongside you all the while you are under water. We are amongst the pioneers of Scuba Diving in Maharashtra. 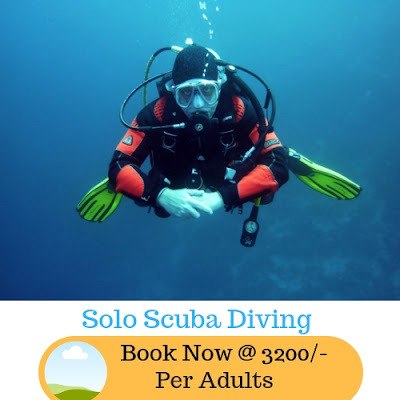 With years of experience in organizing snorkeling and water sports in Malvan, we have ventured into the exciting world of Scuba Diving to bring you the thrill and mesmerizing beauty of underwater life and contours. We organize Scuba Diving near the Sindhudurg fort one of the primary attractions of Malvan. 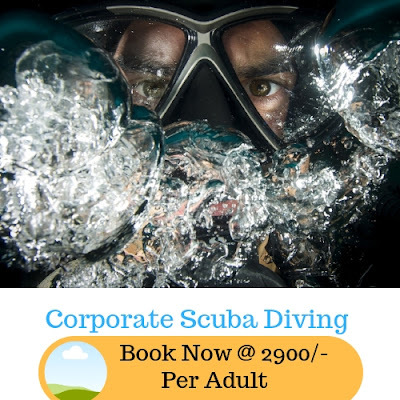 At Shamika Scuba Diving safety of the participants is of utmost importance and with guides trained by M.T.D.C and all the necessary equipment we ensure a safe and enjoyable peek into the mysterious and exciting world under water for you. Shamika Scuba Diving has three boats and we also organize dolphin spotting rides. At Shamika Scuba Diving you can also have fun with jet ski rides and banana rides to enjoy some pure aqua fun during your holidays in Tarkarli! 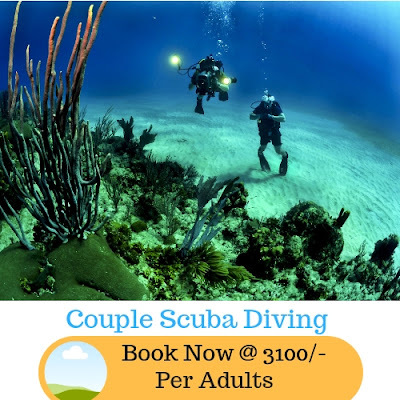 Tarkarli Scuba Diving is one of the most reliable and reputable scuba diving organizers with years of experience in offering a wide array of water sports in Malvan. your safety is our prime concern. We make sure everyone is ideally trained and mentored by M.T.D.C before stepping into this an amazing water sport. All the equipment used are fully assured by respective authorities before you move to enjoy the thrilling world under the water. Your search for Tarkarli scuba diving, an idyllic setting, and a trustworthy guidance end right here at Morya underwater sports group. 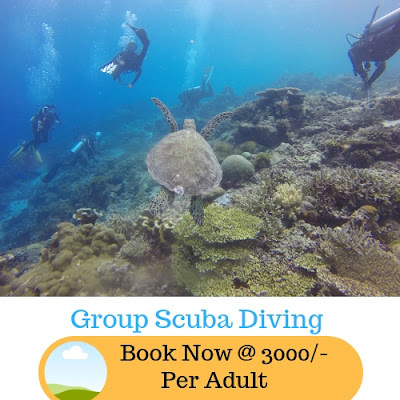 We make sure to provide a high quality and matchless experience for all the tourists who head here from all over the globe, to get a glance at this exciting and truly mesmerizing Tarkarli Scuba diving experience. 6. Sindhudurg Safar HolidaysWe Are A Growing Travel And Tourism Company Based In Mumbai. We Started Our First Office On date 27/07/2015. We Are Active Across Virtually Every Travel Segment Including Group Tours, Inbound Holidays, Free Individual Travel, Corporate Travel, And Speciality Tours. With Our Vast Array Of Innovative Tours, We Intend Taking Holidaying To An Entirely New Level. As Pioneers Of Innovative Holiday Ideas And Tours, We Always Aim To Offer Exciting Experiences, The Best Programmes, Meticulously Planned Itineraries And All Inclusive Tours Conducted By Professional, Experienced, Enthusiastic And Affectionate Tour Managers. Welcome to Kinara Scuba Diving at Tarkarli. In India there are a very few places where scuba diving can be done and Scuba Diving at Malvan, Tarkarli is one of them. Due to its relatively clear sea waters, Malvan and Tarkarli serve as a perfect spot for scuba diving (done mostly with surface oxygen supply) and snorkeling. Near the outer walls of Sindhudurg fort, one can see lots of live corals and colorful marine life under the sea by doing Scuba Diving and Snorkeling. Scuba diving in Malvan is fast catching up these days. India has very few places offering scuba diving, Malvan is one of them. This is because of comparatively clear sea water. Malvan is the hot spot destination for scuba diving and snorkeling with surface oxygen supply. If you want to see numerous live corals and the mystical colorful sea life, you need to dive near the outer walls of the Sindhudurg Fort. Even a non-swimmer can also go for basic scuba diving. The most surprising thing here is that you can buy tea, coffee, snacks from one boat to other. 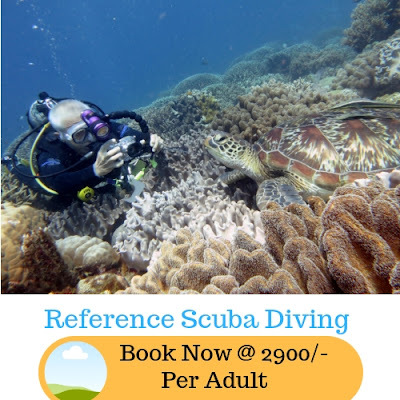 For snorkeling in Tarkali and Malvan, you get approximately 20-25 minutes of hands-on underwater world dive with about 20-30 feet depth while for scuba diving in Tarkali and Malvan you get about half an hours’ time to get hypnotized by the magical marine world with a depth of 40-60 feet. All the gears and equipment will be provided to you. 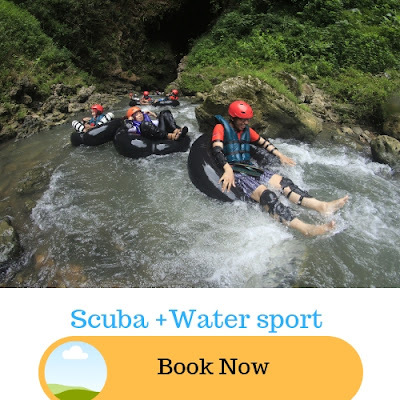 But you need to follow the instructor’s rules to the T.
Of course, an expert will remain with you always in both the water sports activities to guide you. 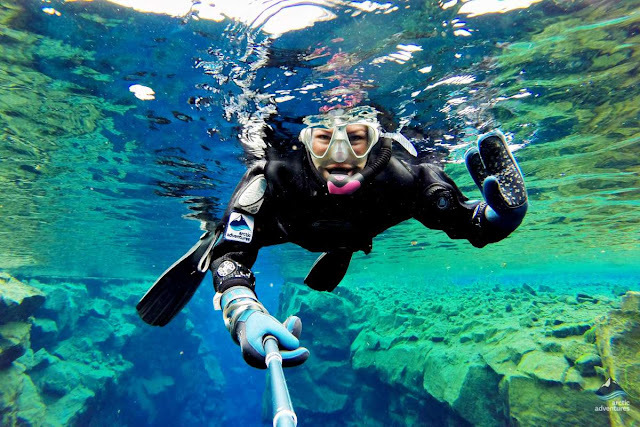 With a few additional charges, you can get photos and videos for snorkeling and scuba diving. For the beginners, there are expert coaches whose first priority is your security. They will make sure that you will take back wonderful and long-lasting memories of the enchanted aquatic life. All the life jackets, diving gears, snorkel face mask are provided. Great blog, Wonderful information you sharing with peoples to know more about Dudhsagar waterfall. Dudhsagar waterfall looks spectacular in the monsoon season. They are popular for trekking, is jeep is also available there? Great blog, Wonderful information you sharing with peoples to know more about Malvan.Malvan is a beautiful location for exploring Scuba Diving with rich underwater beauty Malvan is best for water sports activity, it helps me to plan my upcoming trip with my friends thank you so much.